Please pray for our brothers and sisters in eastern Uganda where a pastor has been murdered and five Christians killed by poisoning. Pastor Bongo Martin was brutally killed last Wednesday when he and other members of his church resisted local Muslims’ efforts to take over their land in Namudumba district. The 32-year-old church leader was attacked with a sword as he protested about a fence that had been put up around part of his church’s land in Nansololo village. Local Muslims had previously told the church several times they were unhappy it was so close to their mosque. Meanwhile, five Christians in Budaka district have died after eating food laced with pesticide, following a Bible study group in Kachomo, a predominantly Muslim village. The study group leader and host, Hajii Suleiman Sajjabi, is in coma. Four of those who died were his relatives: the fifth was a pregnant woman. Hajii had been reprimanded by a local imam for distributing Bibles. (Source: Morning Star News)Three children were kidnapped in eastern Uganda because their father Madengo Badir turned to Christ-the kidnappers are trying to coerce him. A converted Muslim policeman was lured out of his home and shot dead. Pentecostal Christian Patrick Ojangole was murdered, ostensibly for caring for orphans disowned by families for leaving Islam. Pray for Pastor Bongo’s wife and two children, and for his congregation. Pray that they will stand firm in their faith. Pray for Hajii’s full recovery. 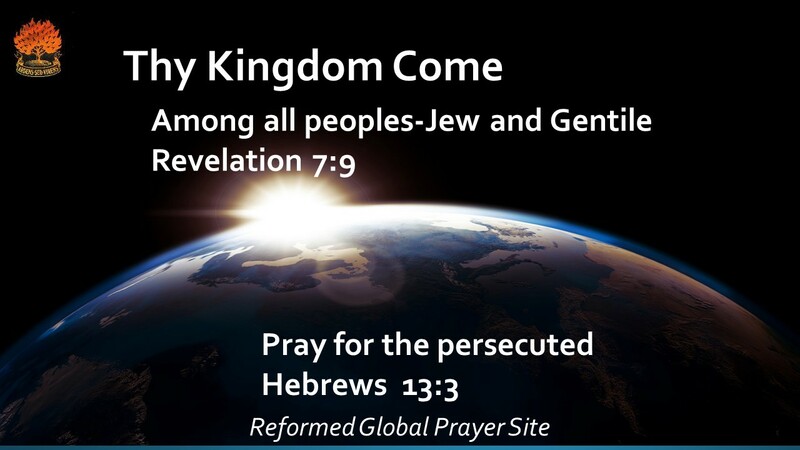 Pray that God will protect and guide him and the remaining members of his Bible study group. Pray for wisdom for Christians in eastern Uganda who are increasingly targeted for attack. Pray for Madengo and his children. Pray for Patrick’s family and the 10 children he looked after. ← Christian asylum seekers in Thailand treated like animals!